Offering you a complete choice of products which include aromablendz coconut oil, aromablendz safflower oil, aromablendz grape seed oil, aromablendz avocada oil, aromablendz peanut oil and aromablendz sesame oil. 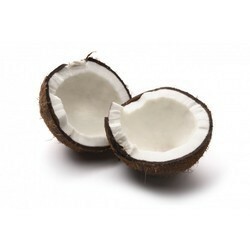 Coconut Oil is extracted from the kernel or meat of matured coconuts harvested from the coconut palm. Mostly found in tropical areas, it is a very popular base in massage oils used on scalp & hair. Colour: Varies from transparent to slight yellow depending on extraction & degree of refinement. Active ingredients: It contains active moisturizing agents, medium chain of fatty acids & saturated fat. Benefits: Coconut oil is used in skin moisturizers & it works wonders on dry skin. It has anti-microbial properties and can be used to treat skin conditions, it also reduces protein loss & nourish hair, forms an active ingredient in treatment of lice. Benefits: Itis strong moisturizing properties & happens to be the preferred choice of cosmetic manufacturers. When used in massage preparations it reduces visibility of fine lines and wrinkles. Beneficial in conditions like eczema, helps reduce inflammation and redness. 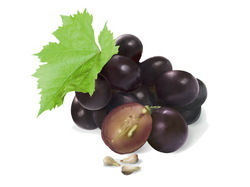 Grape Seed Oil is obtained via cold press method from the seeds of the grape fruit. It works well when blended with another carrier oil in a massage. A bottle of grape seed oil has a shelf life of six months and needs to be stored in an amber bottle in a cool dark area. Active ingredients: It is rich in linoleic acid, an essential fatty acid quite important for the skin and the cell membranes. Benefits/Uses: Grape seed oil has regenerative and restructuring virtues and has great skin moisturizing properties. It has mildly astringent qualities which help to tighten and tone the skin, which makes it useful for acne and other skin complaints. Avocado oil is the rich, thick, dark green oil derived from the flesh of the avocado. It has excellent skin penetrating properties which makes it perfect to use on dry and flaky skin conditions. 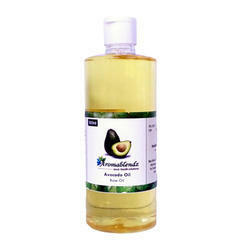 Avocado oil is generally used in small quantity with other carrier oils as it may over power the blend. Unrefined Avocado contains more of the Avocado fruit, its beneficial properties are greater & is dark green in color and heavier. Color: Deep olive green. Refined Avocado oil is yellow to yellowish-green in color and is lighter than unrefined Avocado oil. Active Ingredients: It is a particularly rich in Vitamin A, Vitamin D, Vitamin E, potassium & lecithin. Benefits: Avocado oil have excellent healing properties and is most effective in treating skin conditions such as nappy rash, cradle cap, chaffing dry & chapped skin, wrinkles and as a blend in hair oils. Peanuts are known by many other local names such as earthnuts, ground nuts, goober peas, monkey nuts, pygmy nuts and pig nuts. 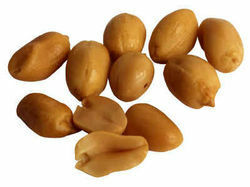 Despite its name and appearance, the peanut is not a nut, but rather a legume. We are also dealing in Peanut Oil. Active ingredient: Good source of niacin, folate, fiber, magnesium, vitamin E, manganese and phosphorus. Benefits/Uses:Is low in saturated fats, free from cholesterol. It is mostly used in cosmetic recipes, made into solvents and oils, used in make-up, medicines, textile materials nitroglycerin, plastics, dyes and paints. The Sesame herb is grown for its seeds and was used by the Chinese 5000 years ago. 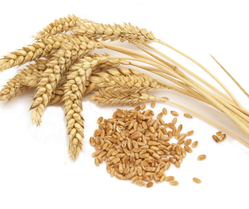 The Egyptians produced flour from its ground seeds, and Roman soldiers mixed the seeds with honey for an energy snack. 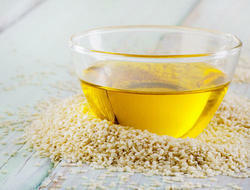 Sesame Oil may be expressed or extracted and is also known as Gingelly or Teel Oil. If the oil is extracted from raw seeds, it is a rather light color compared to that extracted from roasted seeds. Texture: Viscous & leaves an oily film on the skin. Aroma/ Fragrance: Sweet & Nutty. Active ingredients: It is a source of vitamin E which is an anti-oxidant and has been correlated with lowering cholesterol levels. Benefits/Uses:it is beneficial in conditions like eczema, psoriasis & it contains excellent moisturizing properties. It is best blended with another carrier oil, such as almond or grape seed to make it lighter. Texture: Not viscous & does not leave an oily residue. Color: light to dark yellow, it varies depending on the extraction process. Active ingredients: high in vitamin E content, which is a natural antioxidant which helps to prevent rancidity. It also has a high content of Vitamin A and Vitamin D.
Benefits: The oilhelpful in treating certain skin conditions like sunburns, burns, scars, dry aged skin, stretch marks, dull complexion, psoriasis and improves lymph function. Almond Oil, One of the most popular base ingredients in massage oil & is commonly used in skin care preparations for it's moisturizing and penetrating properties. It blends well with most oils. 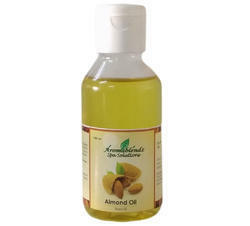 Sweet Almond oil is considered to be a good all-purpose carrier oil to keep on hand and is moderately priced. It is best kept under refrigeration and has a shelf life up to one year. Aroma/Fragrance: Light, slightly sweet and nutty. Active ingredient: sweet almond oil is high in vitamin E, vitamin A, vitamins B2 and B6, protein, and glycosides. Benefits: It nourishes the skin, relieving dryness and irritations. 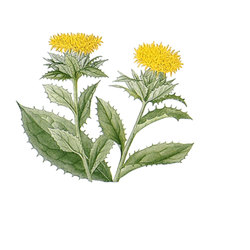 Used as a treatment for psoriasis. Jojoba Oil is the liquid wax produced in the seed of the jojoba plant, a shrub native to southern Arizona, southern california and northwestern Mexico. The oil makes up approximately 50% of the jojoba seed by weight. This makes it more stable than other carrier oils and makes it suitable for use with babies and for those with sensitive skin. 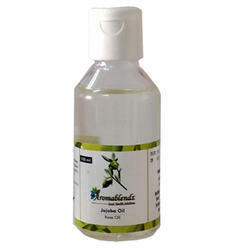 Jojoba oil is relatively shelf-stable when compared with other vegetable oils mainly because it does not contain triglycerides, unlike most other vegetable oils. Texture: Viscous, Sticky & Wax like. Colour: Clear golden to white. Active ingredients: It is high in antioxidants, including vitamin E.
Benefits/Uses: It is excellent for use on skin conditions such as psoriasis and eczema. It is also an excellent treatment for the hair and scalp. 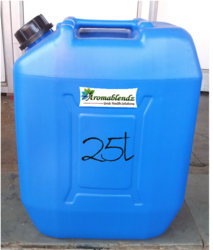 Looking for Aromablendz Base Oils ?